The next generation of electronics is likely to come in the form of smart textiles and textile-like materials that may be more ergonomic, flexible and versatile. Their ability to support electronics and interfaces will be derived from the superconductive and conductive nanoparticles embedded in these fabrics, which can form circuits, sensors and antennas when laid down or ‘woven’ into appropriate formations. This means that we should be able to print microelectronics into an increasing number of forms, such as bracelets, clothing or implants that can be installed directly onto the skin. Add other components, such as flexible screens and we’ll have super-thin, flexible electronics previously only envisioned in science fiction. However, for this revolution in nano-circuitry to take place, the basic building blocks including flexible conductors that are active at micro- or nanometric scales need to be perfected. Furthermore, they need to be both cost-effective and feasible to manufacture. A paper recently published in the journal Nature Materials suggests that a Japanese project has resulted in a prototype that ticks both of these boxes. This study looked at the potential of silver as a nanoconductor for next-generation electronics, and how best to incorporate it into a smart material that accommodates mechanical strain in the form of stretching, while also maintaining its ability to convey electricity along an intended pathway. Previous work indicates that the best way to do this is to incorporate small accretions, known as flakes which may span nanometres or micrometres in length of the metal, into chains of linked molecules whose properties include high elasticity, or elastomers. Elastomers may be either natural or synthetic; with popular examples including many types of rubber, polyurethanes and polyisoprene. An elastomer’s molecular building blocks allow it to increase its original length many times over when mechanical strain is applied to it. 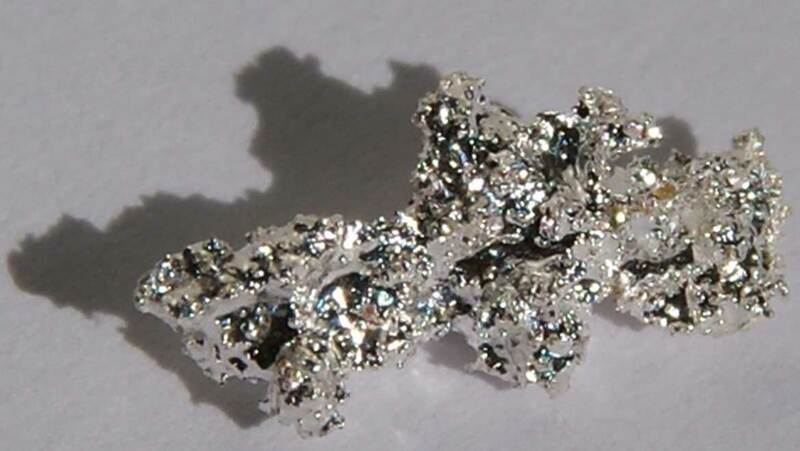 Silver can also conduct across an equal length under the same conditions. Therefore, elastomers combined with silver nanoflakes may be the best way to conserve and maintain electrical connections in an accessory or device that is expected to withstand the everyday motion and physical punishment a bracelet, bandage or garment may be expected to endure. An example of such a material is a combination of polyurethane and silver micro-flakes, developed at the Institute of Science & Industrial Research at Osaka University in 2011. Unfortunately, nanometric silver and elastomers have been notoriously difficult to combine in an efficient, resource-intensive manufacturing process. That is where a new type of elastic conductor, developed by a team working across several institutions and laboratories in Japan come in. Involved in this collaboration are the Thin-Film Device Laboratory and Center for Emergent Matter Science at RIKEN; the Exploratory Research for Advanced Technology (ERATO) and the Department of Electrical Engineering and Information Systems at the University of Tokyo. This new material is a silver nanoparticle-rich elastomer that is also conductive, as described above. However, the team has developed a new formulation and fabrication method for this component that may solve at least some of the historical problems associated with its production. Rather than trying to refine previous methods, Takao Someya and his team simply found a combination of micrometric silver flakes, rubber and a fluoridated surfactant that formed a conductive elastomer when heated. The application of heat caused the silver to form nanoparticles in this solution, while the elastomer’s physical properties promoted their integration into the rubber. Therefore, the team could use the completed solution to print out a film of the conductor. These printouts exhibited conductivities of up to 6,168 siemens per centimetre (S/cm) of material. The elastomer’s conductivity was maintained at about 23 percent of this maximum value when stretched to 400% of its original length. These convincing results led the team to test their conductive rubber as both sensors and circuits. They fabricated ‘skin’ for a robotic ‘hand’, with networks of synthetic pressure and temperature receptors connected by strips of the elastomer, which acted as ‘wiring’. This resulted in robust and reliable sensor data, even when the rubber was stretched by 250 percent or more. Therefore, this material may well be the answer for tech and industrial companies looking for printable or thin-layer conductors that need to cover a large surface area and that can withstand mechanical strain. The potential applications of this new fabrication process may include wearables, medical sensors and advanced robotics. The conductive rubber developed by Someya and his team is one material of many developed as a result of the trend in research towards thin-film, ideally printable, flexible components for next-generation circuits and electronics. Scientists working in this field envision new, less rigid microelectronics that can be made out of nanometal-rich fabrics such as these. They in turn may be the basis of new devices that can take a greater variety of forms, with potentially improved durability and deformability than current computerised offerings such as smart watches. Some may also aspire to contribute their work to the development of artificial skin for medical purposes, or dermal implants that could act in healthcare, entertainment or other capacities. These layers of electronics could contain a range of interfaces, such as pressure sensors that act as ‘buttons’, which would allow the user to control or interact with these ‘second skins’. Some smart fabrics can also be used to form antennae that would enable wireless connections between the devices that may be produced in the future. These exciting developments mean that the future of connectivity, health-tracking or media may literally be near at hand. Matsuhisa N, Inoue D, Zalar P, Jin H, Matsuba Y, Itoh A, et al. Printable elastic conductors by in situ formation of silver nanoparticles from silver flakes. Nat Mater. 2017;16(8):834-40. Araki T, Nogi M, Suganuma K, Kogure M, Kirihara O. Printable and Stretchable Conductive Wirings Comprising Silver Flakes and Elastomers. IEEE Electron Device Letters. 2011;32(10):1424-6.